Merry Christmas! 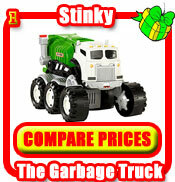 What are the official top 10 Christmas Toys of 2009? Welcome to Christmas Gift Expert (CGE) the only Xmas website you need to source the best Christmas Presents, gifts and toys for 2009. 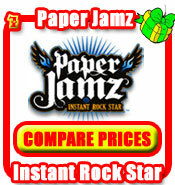 These are the must have christmas gifts! 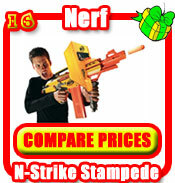 Every year the UK Toy Retailers Associaltion reveals its list of the top 10 dream toys for the coming Christmas 2009. 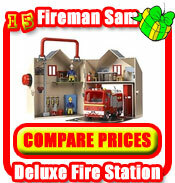 Here at CGE we will not only list these toys for you, so you can see exactly what's hot, we will also show you exactly where to buy them at the cheapest prices. 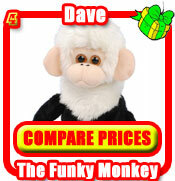 We will list all top UK suppliers and stockists that have the top 10 Christmas Gifts in stock! The suppliers we list here at Christmas Gift Expert are all reputeable top UK names such as; John Lewis, Dixons, Toys R Us, Comet, The Toy Shop, Currys, Amazon UK, Marks & Spencer, Littlewoods, Hamleys, and many more. Each year the biggest selling products over Christmas are toys and although we are still fighting our way out of a recession, this will still be the case this year. 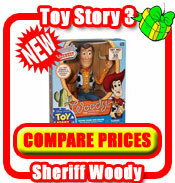 It is often hard to work out what the most popular Christmas Toys will be, but here at Christmas Gift Expert we have a good idea as to what the top 10 kid’s toys for Christmas 2009 will be. 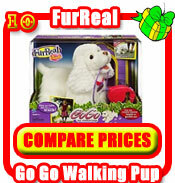 Here it is then the official Christmas Top 10 Toys for 2009 at Christmas Gift Expert. 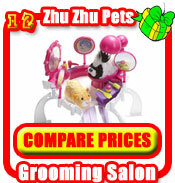 Firstly is the simply enchanting Peppa Pig Princess Palace. The Peppa Pig Princess Palace is a home fit for Princess Peppa! This beautiful Palace folds out to reveal many rooms and accessories including a fantastic banqueting hall. Accessories included are King & Queen thrones, beds, table & chairs, oven cauldron and two guardsmen to look after Peppa and her Royal Family! The Peppa Pig Princess Palace folds away and lets your kids take it with them so they can be a princess with Peppa wherever they go. The Ben 10 Kevin's Action Cruiser will make a fantastic Christmas gift for any Ben 10 fan this year. Like in the Ben 10 TV show Kevin's cool green Action Cruiser is crammed with unique features. Transform the Ben 10 Kevin's Action Cruiser into Battle Mode and shoot the DNA alien capsules filled with Planetary Powder. The Ben 10 Kevin's Action Cruiser includes an exclusive Ben 10 Kevin Levin figure. 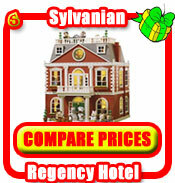 Highly recommended by Christmas Gift Expert is the fantastic Sylvanian Families Caravan. 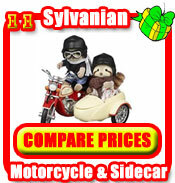 The Sylvanian Families Caravan makes excellent playability and is great value for money. The Caravan has all your kids need for staying away from home! Open up the roof and to show a beautiful well equipped kitchen, shower room and seating area! By unfolding the different sections of the Sylvanian Families Caravan you'll find even more storage space plus sleeping areas created for your Sylvanian family. For boys aged 5 and over Christmas Gift Expert strongly recommends the thrilling GX Racers Tightrope Terror playset. Prepare yourself with GX Racers Tightrope Terror for high-flying, octane gravity defying stunts! Designed around the power of the gyroscope and ripcord , these GX Racers reach extreme speeds and perform fascinating never-before-seen stunts! The GX racers can run a tightrope, high above the ground and makes the perfect addition to any stunt course. Included with GX Racers Tightrope Terror are GX Racer car, rip cord and Line walking stunt gyro all which make this amazing stunt happen. For any Transformers fan you can't go wrong this Christmas with the fantastic Transformers Voyager Optimus Prime action figure. Gear up with the good guys with this Transformers Voyager Optimus Prime action figure. Fire either of two missiles from Optimus Prime’s firing cannons in robot mode. Voyager Optimus Prime is a detailed robot-to-vehicle changing figure that features double-missile firing cannons in robot mode and a smokestack that converts to cannons in truck mode! 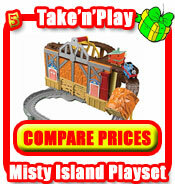 Get ready to do battle Autobot style or convert to tough truck mode and turn your smokestack into cannons. For a really fun creative Christmas gift then what about the fabulous Bendaroos Mega Pack from Spin Master. The Bendaroos Mega Pack comes with 400 flexible building sticks that you can twist and bend to make just about anything you want. The Bendaroos creative craft set comes with a Cut 'n' Join tool, 2 double-sided templates and an instruction booklet. With Bendaroos you can create jewellery, stuff for your action figures, furniture for your dolls or pictures for your walls, doors and windows. Bendaroos are a wonderful way to encourage creativity and construction skills. 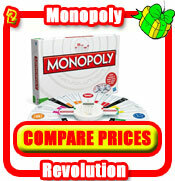 Monopoly City from Hasbro is the fantastic latest edition of the classic board game! 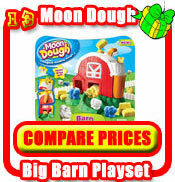 With Monopoly City build up your very own city and watch your fortunes grow and grow! Build your city from the start, developing properties in 3D in the centre of the board. From stadiums to skyscrapers develop your buildings cleverly to get maximum profit and bring the price of your opponent's property down! Hasbro's Monopoly City makes a great Christmas gift idea! 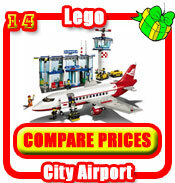 With the fantastic new range of Lego games you build, play and change. 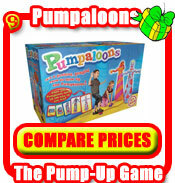 You will experience a whole new way of having fun with family or friends of any age! Which will be your family's favourite? Just roll the dice and find out why no two games will ever be the same! Will you be the first to the temple, avoiding the mighty Minotaur on the way and skillfully placing walls to block any of your opponents! Clear and simple rules make the Lego Minotaurus board game great fun for the whole family! Defeat the Minotaur and claim your treasure! A fabulous Christmas gift idea! 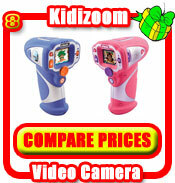 The fantastic new KidiZoom Digital Camera from VTech is yet another certainty for this years Christmas top ten toys. 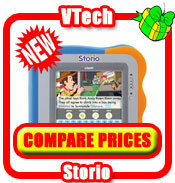 The VTech KidiZoom Digital Camera is probably the best digital cameras for kids that you can buy. Made with fun in mind kids love the large LCD screen of the VTech KidiZoom Digital Camera and the onboard photo editing features. Get ready for your children to take candid snaps of you, then alter the pictures in silly ways or adding funny frames. The VTech KidiZoom Digital Camer can store up to 120 photos or 5 minutes of video. If it's fun thrilled excitement your kids are after this Christmas then look no further than the fantastic Battle Strikers Tournament Set from Mega Bloks. This superb tournament set is the next generation of battling arenas. Recharge your top as it spins with the turbo launcher. Magnetically enhanced and element-themed spinners are calibrated to different degrees of endurance. The power to command, is in your hand. 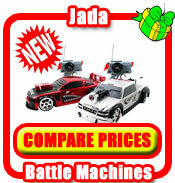 Included are 2 exclusive strikers only available in the Battle Strikers Tournament Set. Set to be one of the top 10 best selling toys for Christmas 2009 the fantastic Ben 10 Alien Chamber is now available from leading UK toy suppliers. The Ben 10 Alien Chamber allows your kids to double, triple and quadruple the Ben 10 toys they already have! They can mix and match the arms, legs and head with the range of different alien bodies each time making a different alien toy. A fantastic new range of Waybuloo Plush Talking Figures & Playsets based on the hit children's programme Waybuloo are also destined to become top 10 Christmas toys for 2009 after rumours they have started flying off the shelves of leading toy stores and supermarkets. The Waybuloo toy range is set to be a bestseller for Christmas 2009 and has already become a must-have for all young children. With the fantastic new Transformers Bumblebee Helmet your kids can play at being the fun-loving Transformers Autobot character Bumblebee Transformers in this superb role-playing helmet! Speak through music just like Bumblebee! The fully adjustable Transformers Bumblebee Helmet also includes Transformers phrases and battle sound effects. 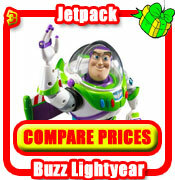 Number one toy shop Hamleys have said that the Transformers Bumblebee Helmet will be one of the top 10 toys for Christmas 2009. With the Bakugan Battle Arena there is no end to the fun and excitement you and your friends can have. The Bakugan Battle Arena has magnetic marbles which pop open when placed on the metal cards. The Bakugan Battle Arena is the official Battle Arena of the Bakugan Tournament League and supports up to four players. 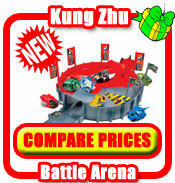 You can purchase extra figures and cards to use with your Bakugan Battle Arena. You might also be interested in a Bakugan Starter Pack, a Bakugan Booster Pack, or a Bakugan Battle Pack to use with the Bakugan Battle Arena. With New Bop It Download you can have fun with your kids and work as a family team, taking turns in any of the game modes seeing what high score you and your family can achieve. This new version of the highly addictive Bop It is better for younger children than the previous Bop It Extreme as there are two less levers to contend with. One being replaced by the Shout It command, which should be a lot easier to master. New Bop It Download is perfect for single or group play as children are keen to beat their previous best score. New Bop It is also handy to take out on trips or on holiday. 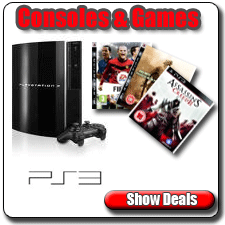 Sure to be a bestseller for Christmas 2009 is the superb New Playstation 3 Slim gaming console from electronic giants Sony coming with a massive 120 GB hard drive. With hefty multi-media features the PlayStation 3 Slim is an even more versatile games console than it's predecessor and comes 32% smaller, 36% lighter and uses 34% less power. The PlayStation 3 Slim has been completely redesigned for a greater streamlined feel and features video chat, internet access, digital photo viewing, and digital audio and video will likely make it the central component of your media set-up. Nintendo has just taken handheld consoles to the next level with the stunning new DSi Console which will transform the way people access, experience, create and share content. The DSi is the third version of the world's best-selling handheld virtual video game system. 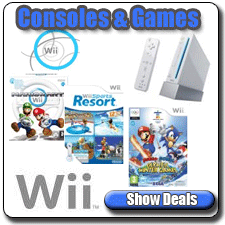 The Nintendo DSi is the second upgrade to the hugely popular DS handheld console. 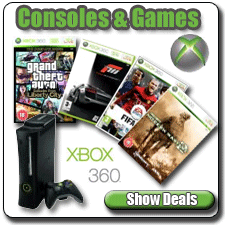 The new DSi Console will make a fantastic gift for Christmas 2009. The Rubiks Cube even after 30 years was still one of the most poplar toys sold last Christmas. With the official launch of the Rubiks 360 anticipated for this Summer, this eagerly anticipated puzzle will undoubtedly be a top toy for Christmas 2009. Tilt and turn the Rubiks 360 and guide each ball into the matching colored dome. Sounds easy, right? It's harder than it looks. Lock all six balls into place to beat this challenge! It's a new spin on the ultimate strategy puzzle. Do you have what it takes to solve the Rubiks 360?